Corruption lies and scandal is no stranger to the L.A.P.D. 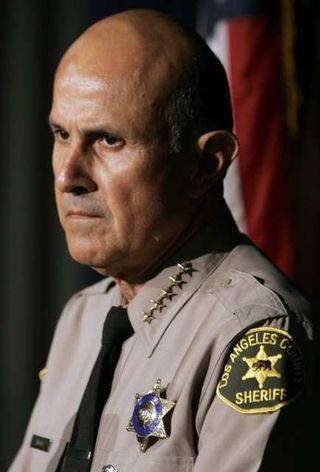 Retired Los Angeles County Sheriff Lee Baca will plead guilty in a downtown courtroom Wednesday to making false statements, marking a dramatic turn in the ongoing federal investigation into corruption in the Sheriff’s Department. Baca’s attorney, Michael Zweibeck, said his client has agreed to plead guilty to a single count as part of a deal with prosecutors under which he will spend no more than six months in prison and possibly no time at all. The U.S. attorney’s office has agreed not pursue other charges against the former sheriff, and a federal judge must sign off on the deal, Zweibeck said. Zweibeck said that federal sentencing guidelines specify up to six months in prison for making a false statement, but that Baca could also be sentenced to probation and not serve any time behind bars. “He is ready for whatever outcome is deemed appropriate by the court,” Zweibeck said. Zweibeck said negotiations with prosecutors began in earnest five days ago, when it became clear that they were prepared to charge Baca. Baca, who ran the department for more than 15 years, retired in 2014 amid an FBI probe into misconduct and abuse by deputies in the county’s jail system. So far, more than a dozen former sheriff’s officials have been convicted as a result of the wide-ranging investigation, which began more than five years ago. No surprise here since the L.A.P.D. has a very long history of corruption and scandal which usually gets swept under the rug. As usual they get a slap on the wrist, and go back to there merry lives to enjoy their hefty pensions. Justice is rarely properly served when law enforcement is involved.